Nicira, the networking startup that is not so stealthy but seriously hot, is ready to tell the world what it offers and who is buying its software. The list of customers is impressive. Nicira’s Network Virtualization Platform is used at eBay (s ebay), NTT, AT&T (s T), Fidelity Investments and Rackspace (s rax), and I expect more companies to announce their use of the networking virtualization solution in the coming months. 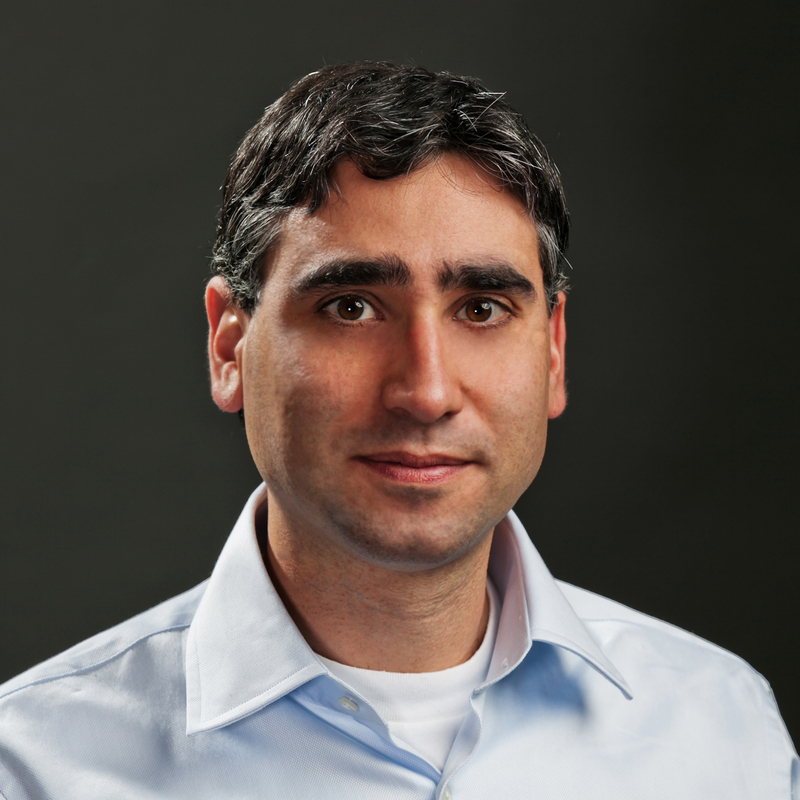 Nicira, the brainchild of Martin Casado, who gained fame in networking circles after his Stanford dissertation became the basis for the OpenFlow protocol, is backed with more than $50 million in funding from Andreessen Horowitz, Lightspeed Ventures and New Enterprise Associates. Diane Greene, the co-founder of VMware (s vmw) also contributed. Nicira’s founder, its funders and the technology space where it plays make it one of the hottest startups around. Nicira is one of several companies attempting to solve the problem that Greene helped create when she co-founded VMware to push hypervisors and virtualization. Once servers were virtualized, it created an easy way to separate computing from the physical infrastructure. The benefits of server virtualization were more-agile compute infrastructures — a developer would spin up a server in minutes as opposed to waiting days for approvals — as well as consolidating IT. 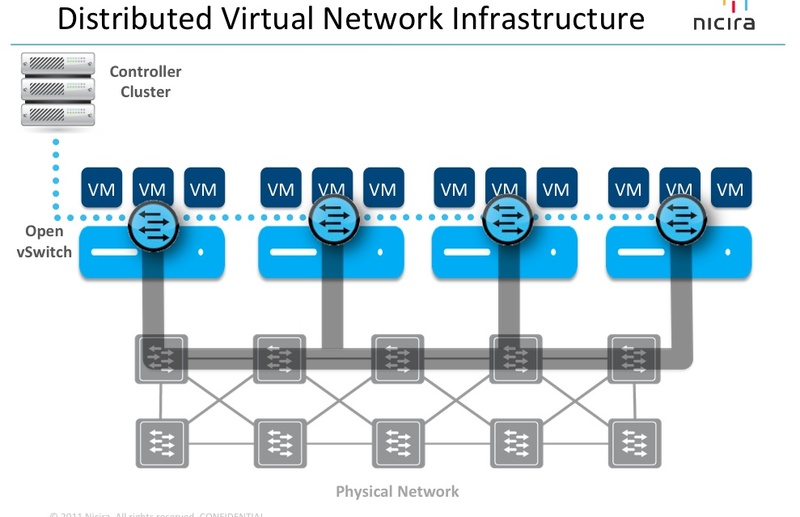 Storage followed, but holding the whole virtualized infrastructure effort back was networking. Like a bird with its wings clipped, IT was tethered to the physical hardware by networking. Server virtualization has made moving applications around on top of servers easy: Think of the transient nature of Amazon’s EC2 (s AMZN) instances. But the challenges of maintaining the connection those servers must have to the underlying network has chained the cloud to physical infrastructures — to an IP address — and ensured that employees must manually reconfigure the network to make big changes or implement new networking policies associated with security or compliance. Solutions such as OpenFlow, a protocol that allows the suer to separate the intelligence inside switches from the packet routing and place that intelligence on commodity servers, has helped usher in the age of software-defined networks, which could help solve that problem. Nicira’s products play into that, but they don’t require OpenFlow to work. Instead of requiring a special OpenFlow-enabled switch, its software works with a variety of protocols and hardware. The company starts by using the Open vSwitch network virtualization software inside the hypervisor. From its vantage point inside a VM thanks to Open vSwitch, Nicira understands data associated with that VM and communicates it to controllers running its software inside the data center. These controllers are the data center equivalent of a post office box for each VM inside the data center. While the physical address of a virtual machine may change depending on demand, the Nicira controller knows where that VM is and can get messages to it. So, now, messages are sent to the controller, and, like mail sent to a P.O. box, the recipient gets it, no matter where she may physically live. Agility, cloudbursting and follow-the-sun data centers, oh my! The infrastructure is worth explaining, but the real excitement is found in how Nicira’s customers are using the product. NTT, which operates data centers around the world, uses Nicira’s software to move its desktop-as-a-service offering from data center to data center within Tokyo ahead of rolling brownouts in the wake of the Fukushima nuclear disaster. That’s right, we are talking about cloudbursting — or moving workloads on the fly from one data center to another. Of course, many caveats still apply. Both data centers need Nicira controllers, as well as the data the application needs to use in order to run. Casado notes those data centers also need to be connected by pretty fat pipes with low latency to deliver something like NTT’s desktop-as-a-service application. However, customers could use it for cloudbursting if they have already prepopulated a second data center with the information the application needed. E-commerce giant eBay is using it to deploy applications in minutes as opposed to days, since network engineers no longer have to manually configure networks to meet the needs of a developer. Rackspace is using it to change the products it can offer as a hosting company as well as add agility to its Infrastructure-as-a-Service offerings. While Nicira’s coming-out party is a big deal for the new age of networking, it is by no means the only player seeking to free cloud computing from the confines of the physical network. Startups such as ConteXtream, Embrane, Big Switch and others are seeking to play a role in the networks of tomorrow. With customers having tested and deployed its platform into production environments, five-year-old Nicira seems further along than some of its fellow startups, but this is a big opportunity and there is still plenty of room. Since OVS (Open vSwitch) performance is quite limited, I do not understand the benefit of this new option that Nicira is proposing? Then, what are the differences with Vyatta/Citrix vNetwork protosal or with QFabric from Juniper? Why wouldn’t this capability simply become a feature integrated within an existing vendor’s product? VMware is certainly planning to make network virtualization a feature (see vCDNI), but it’s not clear that some other hypervisor vendors have the engineering chops to compete with Nicira. I would watch out for Citrix- they have the right elements in place- technology leadership in virtualization, cloud and networking (NetScaler). They were also the first folks to come out with a virtual load balancer. Hopefully someone from Citrix will comment. What is a virtualized server? Is that what you are asking here, or what is a virtual machine? A virtualized server is one running a hypervisor that abstracts the underlying hardware from the applications running on top of it. A virtual machine is the abstraction the application “sees.” Thus one could run multiple VMs on a virtualized server. how hard is it to post links to the websites of the companies you are writing about? THE basic fundamental of the internet. learn it. You may wish to check out this great new site I’ve discovered, it’s called “Google”. The single “fundamental” (also, fundamental…what?) about the internet is the existence of whiny cowards, hiding behind their keyboards. thanks. I must stop writing these late at night.